Through Youth Services, the afterschool playground offers supervised recreational activities for our students on all school days. The playground is open daily from dismissal until 5:30 p.m.
On Minimum and Banked Time Tuesdays, the afterschool program will also be open until 5:30 p.m. Please note that the afterschool program is a permissive program; children may arrive and leave when they wish. To ensure the continued protection and safety of all children, any child remaining one hour after the playground closes will be referred to a child protective agency. 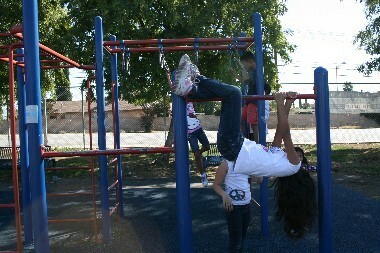 Balboa After School Enrichment (B.A.S.E.) is committed to offering a program of high-quality companies that provide quality instruction for your children without excessive ‘middle-man’ fees. Studies show that afterschool programs widen children’s interests and help them discover their innate talents and abilities, leading to more confidence and self-esteem. Two sessions are offered each year, with classes running September – December and February – May. 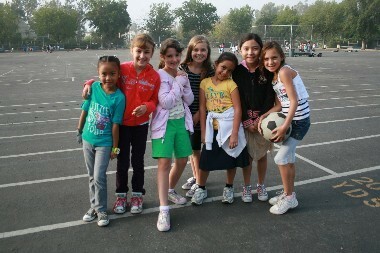 To read more about the classes offered, fees and how to register, please visit the Balboa Parent website.